Oh, they're so sweet! Eloi is sure to love them! 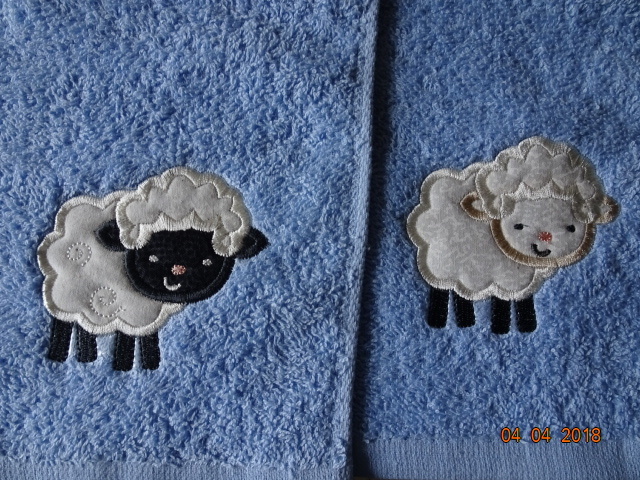 Ewe chose just the right designs for him! I found it interesting how just varying the colors made them look so different. Thanks for the info as to where to get them. I think my sheepherding friends would like these. They came out cute and Eloi should love them in his bath.